When consumers walk into a US car dealership and have a choice of buying either an electric or internal combustion engine (ICE) powered version of the same model, what percentage opt for the BEV or PHEV version? The short answer is 9.8% on average. 1. 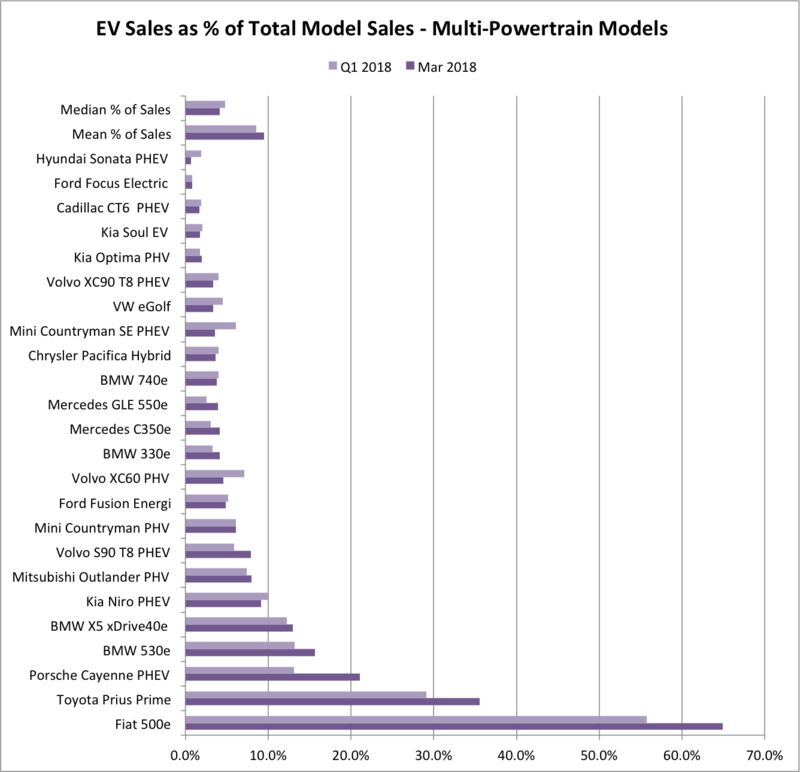 EVs overall have a near 10% share of total model sales: The mean EV share across the 24 models analyzed was 9.5% (March) and 8.5% (Q1), while the median was 4.2% (March) and 4.8% (Q1). When consumers have a choice between a more expensive PHEV or BEV version of the same model, using the mean, they purchase EVs nearly 6 times (9.5%) the rate of the overall EV sales purchase rate (1.6%) in the US. When using the median percentage, the EV purchase share was 4.2% in March, nearly 2.6 times higher than the 1.6% US EV market share. 2. 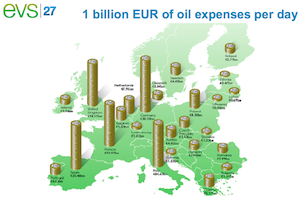 Range, price differential, and distinction matters. The lowest shares among the 24 models are the Hyundai Sonata PHEV at 0.7% and Ford Focus Electric at 0.8%. The Soul EV does a bit better at 1.8% and e-Golf at 3.4%. The Soul EV ($16,150), Sonata PHEV ($12,550), e-Golf ($9,585), and Focus Electric ($8,750) have significant price premiums of 90% over the Soul, 57% over the Sonata, 46% over the Golf, and 42% over the Focus Electric. The Kia Soul BEV (110 mile range), VW e-Golf (125 mile range), and Ford Focus Electric (100 mile range) all suffer from relatively low EV range. They also lack any real distinctive differentiation or green signaling benefits and have significant price premiums. Their cost differential is simply not justifiable for many, especially for the non-luxury buyers. 3. Low lease payments trump range: The Fiat 500e has the highest share of sales compared to the same base model — 65% in the month of March 2018 and 56% for Q1 2018. Despite a very low all-electric range of 81 miles, the 500e tops the charts because of very low-cost lease deals on offer, often less than $200 a month. (More on this later.) 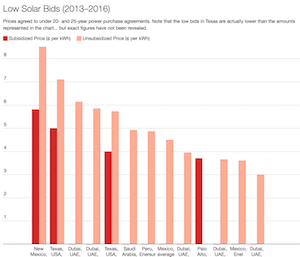 Similarly, we saw huge sales of the Nissan LEAF in Georgia several years ago because of state incentives that made the LEAF “almost free” until the state incentives went away. 4. Prius buyers are “Primed” to go electric: The Toyota Prius Prime had the second highest EV share at 35.5% (March) and 29.1% (Q1) of the total Prius model sales. 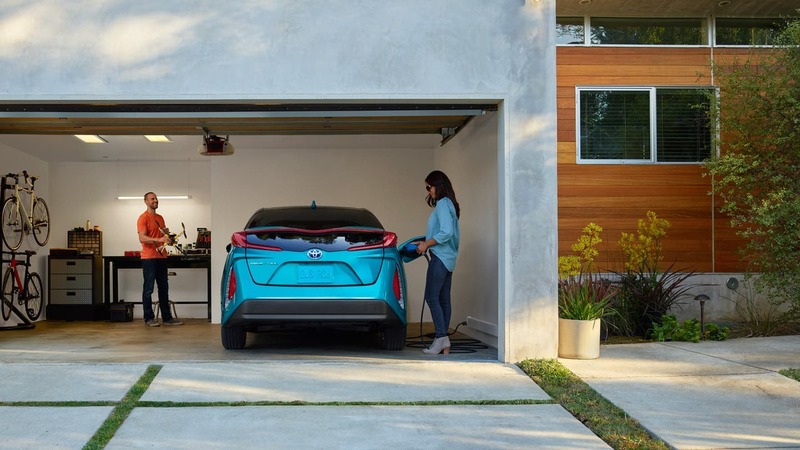 More than one-third of Prius buyers are opting for the Prime, the plug-in hybrid version, which is not that surprising since the decision to go with a PHEV is not much of a leap for someone already considering an iconic hybrid. The price differential between the two versions of the Prius is the second lowest among the 24 vehicles at $3,600. Many buyers likely assume they can make up much or all of the difference in monthly payments through lower fuel costs and the various available state, federal and utility incentives. 5. 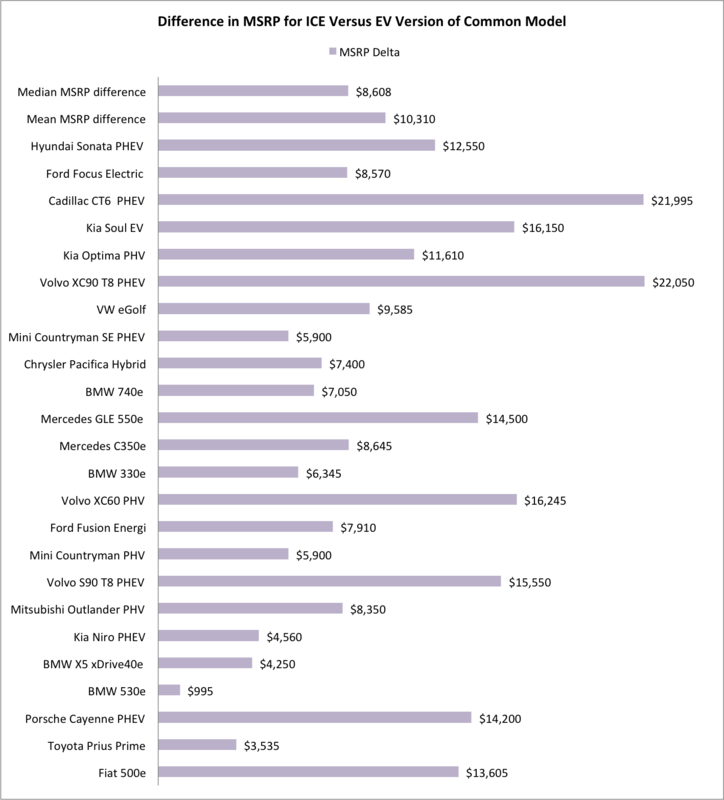 Buyers of luxury/performance models can afford the price premium: The relatively high share of sales for the Porsche Cayenne E-Hybrid, BMW 530e, and BMW X5 xDrive40e is not surprising since upper income consumers tend to be earlier adopters of new technologies, often simply because they can afford to pay a price premium — in this case the premium of a comparable PHEV model. 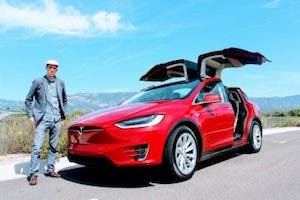 The Tesla brand and mystique has also done a great job of making this customer segment more aware of EVs and in turn we are likely seeing luxury brand dealers more aggressively pushing their EV models to reduce losing loyal customers to Tesla. 6. Consumers are desperate for PHEV/BEV SUVs. In the US, SUVs, CUVs, minivans, and pickup trucks now comprise roughly two-thirds of vehicle sales. The Mitsubishi Outlander PHEV has been a strong seller in Europe and just arrived in the US a few months ago. The Kia Niro PHEV also just recently arrived in the US. I expect to see the share of sales for these and other models increase at a strong rate in the coming 12–24 months. 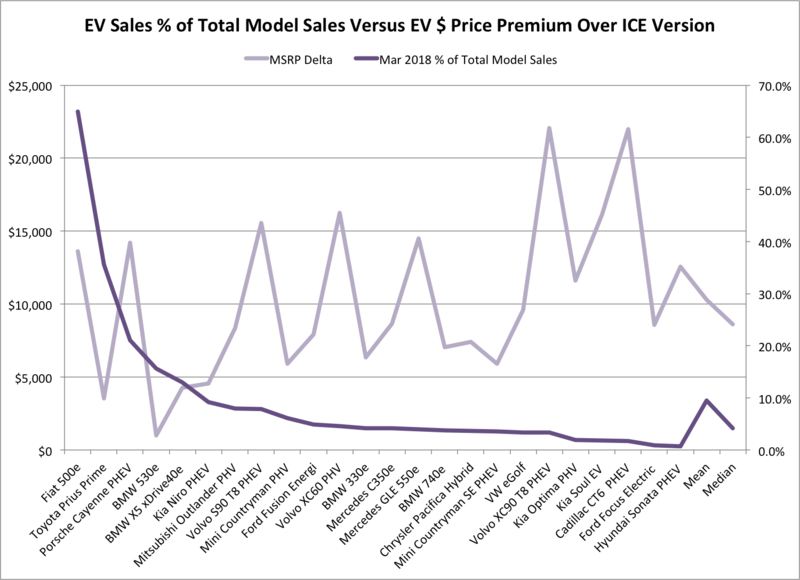 I looked at the differences in the manufacturers’ suggested retail prices (MSRP) of the EV versions versus their sister ICE or regular hybrid models. The median difference was $8,608 and the mean was $10,310. Those are pretty significant differences, but as you might expect, the delta varied widely. The smallest difference in price was the roughly $1,000 premium for the BMW 530e over the BMW 530i. The biggest difference was $22,050 for the Volvo XC90 T8 PHEV versus the regular XC90. 10 of the 24 electric versions had a difference in MSRP of more than $10,000 and only 2 of the 24 had a delta of less than $4,000. Next, I looked at the percent delta of the price difference between the electric and ICE versions of the 24 models. The mean difference was 32.5% and median was 29.9%. The EVs with the lowest percentage of sales also had some of the highest differences in MSRP, including the Hyundai Sonata, Ford Focus, Cadillac CT6, and Kia Soul options. 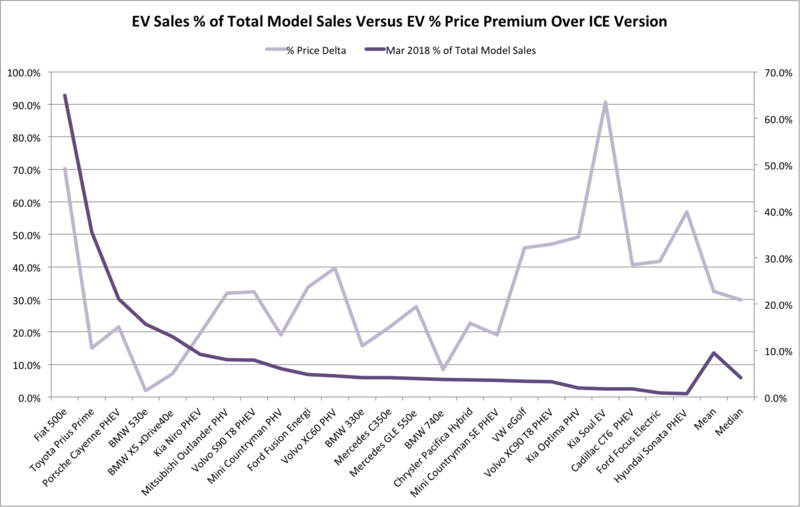 In the next set of charts, I compared the March percent of total model sales of the electric version to its price premium over the ICE version — in both dollars and percent of the premium over the ICE version. ¤ Fiat 500e: The Fiat 500e has the highest percent of sales of any of the vehicles analyzed at 65%, but its $13,605 price difference was also the second highest at 70%. The explanation for this is simple — the lease cost of the 500e was extremely low. In California, several dealers have offered leases under $100 per month, while most have been under $200 — making the 500e an extremely affordable EV as a second car. ¤ Porsche Cayenne E-Hybrid: A quick check shows about a $400 monthly difference in lease payments — $1,129 for the E-Hybrid versus $729 for the regular Cayenne. In theory, the likely explanation for the Cayenne’s strong showing is that California buyers in particular rationalize the difference by closing the price gap via the federal EV tax credit, the California EV rebate, and various utility rebates. Because of Porsche buyers’ higher incomes, however, they may not qualify for many of these incentives and in fact almost no Porsche buyers used the California rebate (see chart). It may simply be a form of conspicuous conservation that I wrote about recently, in that many Porsche buyers want to convey their attempt at being green and are willing to pay handsomely for the honor. Do the BMW 530e and X5 xDrive40e Portend the Future? 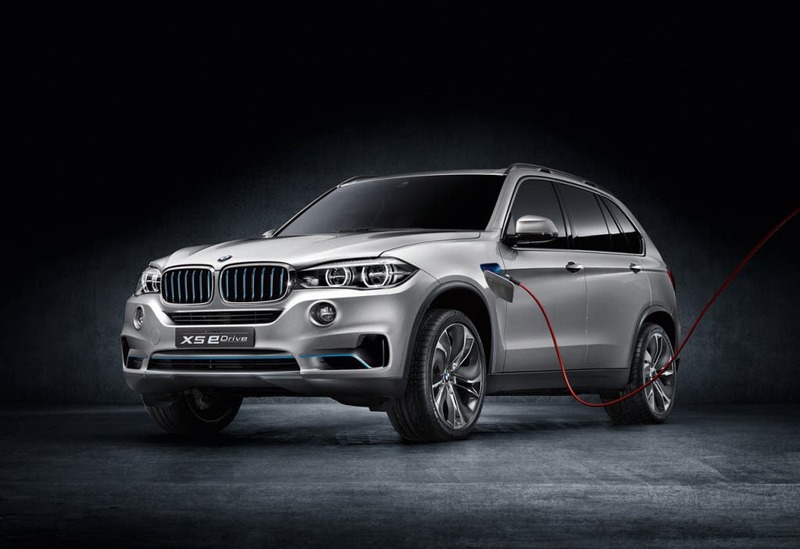 After the Fiat 500e, Toyota Prius Prime, and Porsche Cayenne E-Hybrid, the BMW 530e and X5 xDrive40e were the only other EVs out of the 24 analyzed with greater than a 10% share of sales. They were also 2 of the only 4 EV versions that had a price delta of less than $5,000 — the others being the Prius Prime and Kia Niro PHEV. The strong showing (13% share) of the X5 xDrive40e is probably largely driven by Americans’ appetite for luxury SUVs and a reasonable price difference that can likely be made up with available incentives and lower gas costs. With only 14 miles of electric-only range, this sales success is especially impressive. If BMW can increase the X5 xDrive40e range to a more respectable 25 to 30+ miles and maintain a less than $5,000 price differential, we could probably see a 25% share of X5 sales in the future. This strong demand also portends well for the expected launch in 2–3 years of the all-electric iX3 with 200+ miles of range. On the other hand, I would have expected the 530e to do even better than its very strong sales percentage of 15.7% and roughly only $1,000 price differential. The likely reason the 530e does not do even better is its direct competitiveness with the Tesla Model S. A large percentage of buyers of electric midsize to large luxury/performance sedans would have to consider and eventually may opt for the Model S over the 530e. By comparison, the other 2 BMW EVs analyzed only had a share of sales of roughly 4%, but there were price deltas of $6,345 for the 330e and $7,050 for the 740e. For these two models, the relatively poor sales percentage is likely due to the 330e competing with the Tesla Model 3 and the 740e with the Tesla Model S, combined with relatively low electric ranges of 22 and 14 miles respectively. BMW clearly has to step up its game with more competitive offerings for the 3 and 7 Series models. Analyzing the EV model market share data validates the theory that when given a choice between gas/diesel and electricity, consumers are perhaps farther along the adoption curve than the general EV sales trends suggest. 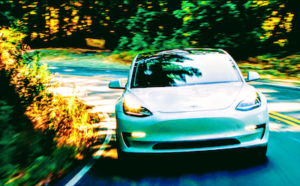 Range and price differential are still key challenges to mass adoption, but consumers with the financial means to pay a bit more for an electric version of an ICE model are increasingly making that purchase decision. The key lessons from this analysis are not surprising — for the next 5–7 years, automakers must focus on marketing electric SUVs/CUVs primarily to early-adopter demographics (multi-car households, homeowners, upper income, “green”). Because there is still a fairly significant price premium on EVs versus similar ICE models, inadequate range on many models, and limited charging infrastructure in some markets, it is too early to worry about trying to convince mass-market consumers to make the leap to an EV. That time will come beginning likely around the 2024–2025 time frame when EVs should be cost competitive and have an average range of 300+ miles. The second lesson is that automakers need to launch more standalone EVs. Models such as the Chevrolet Bolt and Volt, Nissan LEAF, and BMW i3 that benefit from being EV-only models designed around electric drivetrains and benefiting from strong brand perception continue to rank in the top 10 for EV sales in the US. Intent: As I’m sure many readers will point out, at this early stage of EV adoption, most consumers likely know ahead of time when they enter a dealer showroom that they are more interested in an EV than ICE model. This analysis is NOT intended to suggest on average 1 out of 10 times a consumer decides once at the dealer to choose an EV version of a model that is also available in ICE or regular hybrid powertrains. Rather, the intent of this “apples to apples” comparison is to help better gauge the progress and transition to electric vehicles based on when consumers have a clear choice between an internal combustion engine (ICE) and either plug-in hybrid electric (PHEV) or fully battery electric (BEV) version of the same model. Measuring the US national average of EV sales as a percent of total vehicle sales (currently at 1.6%) is a fairly meaningless metric for multiple reasons, including the fact that there are 250 fewer EV than ICE models, no electric pickups, no electric small SUVs/CUVs (the hottest market going), and no top 20 selling models with an electric option (Ford Fusion was #23 in April). Price Calculations: Many readers will also likely point out that the difference in prices between EV and ICE/hybrid models in my analysis ignores various available federal, state, and utility incentives that would close the price gap. 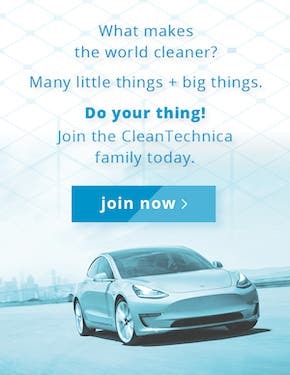 I have not incorporated these incentives for a few reasons, including: 1) They vary based on where you live in the US; 2) Many or most are either tax credits or rebates that are received AFTER vehicle purchase, which means in both cases the actual purchase price of the EV is not reduced (the exception being when the EV lessor applies the federal tax credit to the loan amount, reducing monthly lease payments). 3) Many of these incentives have household income caps, which means many consumers may not qualify for them. 4) Finally, whether a consumer qualifies for or calculates the amount of incentives they may receive, EVs have to stand on their own competitively (IMHO) and it is important to understand the delta between model versions BEFORE applying any potential incentives. 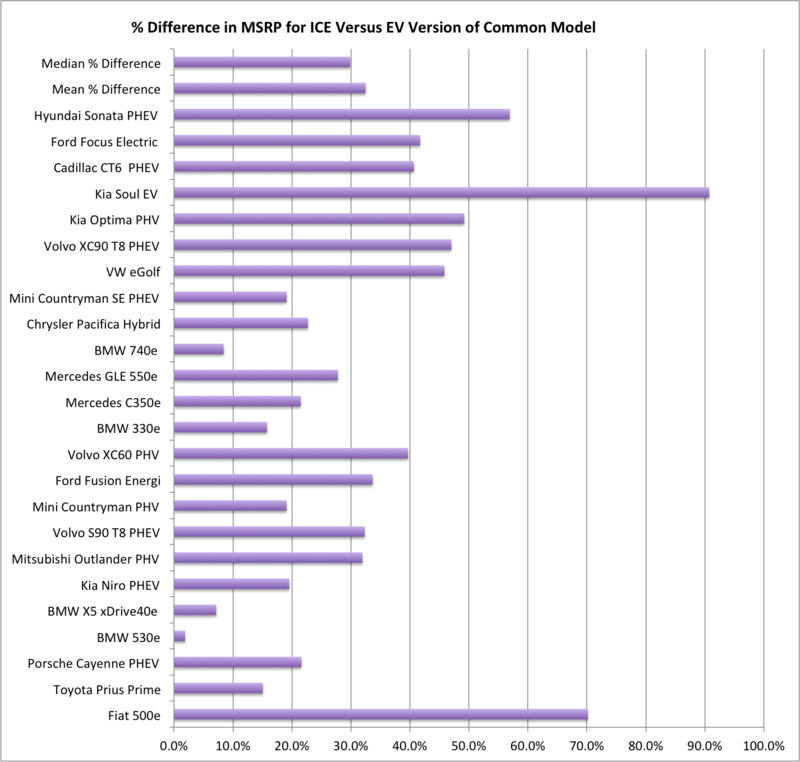 Secondly, on the MSRP, I included ICE version pricing for similarly outfitted EV versions. For example, the Ford Fusion SE and Mitsubishi Outlander SEL — which seemed to be similarly equipped as the base Fusion Energi and Outlander PHEV. 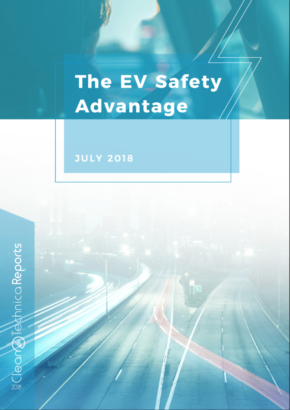 Dealers/Marketing: The comparative analysis also did not take into account the differences in the brand’s advertising, marketing, and dealer training/attitudes toward EVs. For example, Porsche and BMW dealers are much more likely to promote EVs because: A) Their buyers can more readily afford the EV price premium of the ICE versions; and B) They risk losing a potential customer to Tesla if they don’t. ¤ Porsche Panamera E-Hybrid: It was apparently not widely available early in 2018. ¤ smart fortwo: While there is still inventory of ICE versions, this model is now sold only as a BEV. ¤ Mercedes Benz S550e: While InsideEVs lists 24 sold in Q1, including 11 in March and 9 in April, the US Mercedes-Benz does not list a PHEV version of the S-class. ¤ Hyundai IONIQ: Though the Prius Prime was included, I did not include the IONIQ, which is available in 3 versions — hybrid, PHEV and BEV. In hindsight, this was probably an oversight, but I felt the 3 versions put the IONIQ in a different category. Additionally, the electric version of this car is reported to be severely supply limited. (Though, that may be the case with several models.) In a future analysis, I’ll compare all of the EVs that are available in multiple electrified versions.